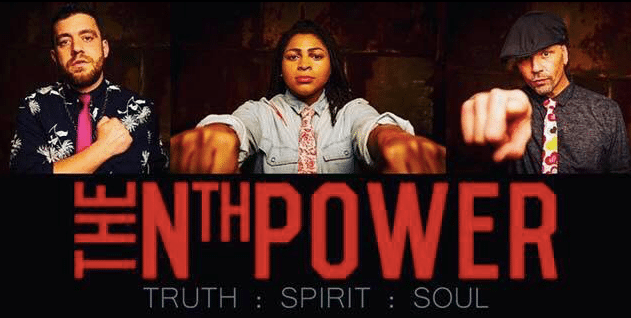 Known for their enthralling fusion of soulful harmonies, gripping guitar and unpredictable drum patterns, The Nth Power played at Funk ‘n Waffles Rochester on Thursday, August 23 to a cold room devoid of the passionate crowd they deserved. The tiny crowd could have been a blessing in disguise since the uncomfortable volume may have been a discouragement to first time listeners seeking the band out in the future. Despite a harsh beginning to the show, moments of clarity during some of their jams showed the room what they can do. Their stage presence added to the spectacle, with Nick Cassarino (vocals/guitar), Nikki Glaspie (drums/vocals) and Nate Edgar (bass) all equally emotive with instruments in hand. Edgar is probably the most amusing to watch, balancing on one foot and bobbling his head, creating almost a bass player caricature. Cassarino took a moment during their performance to plug a charity the band wholeheartedly supports. The Harold Robinson Foundation helps the underprivileged youth in South LA connect with nature by sending them to a three-day outdoor camp. The foundation is highly rated for remaining transparent about their operations and is definitely worth checking out. The Nth Power soldiered on, displaying a fierce mashup of Earth Wind & Fire’s “Shining Star” and “Mighty Mighty” that lit up the room before delving into one of their most beloved tunes “Only Love” off their 2016 album Abundance. Overall it was a show worth seeing but hopefully the sound will be more on point next time to do justice to their playing.